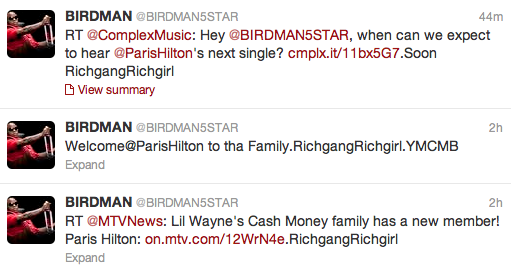 Paris Hilton Joins YMCMB As The Newest Member! The world can officially end in 5…4….3….2….. 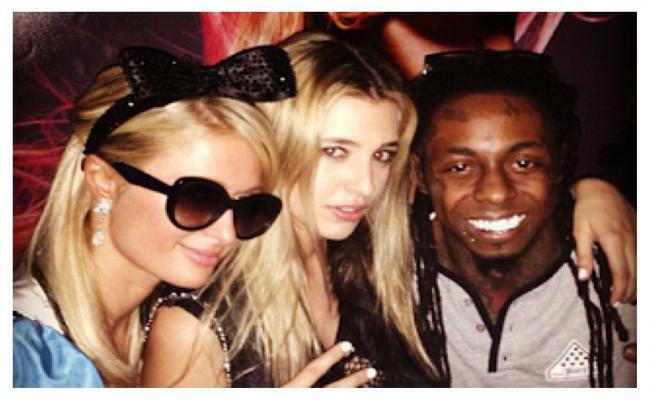 It is not a rumor, Paris Hilton has joined Cash Money as their newest singer. Paris Hilton has found a new home, and some of her roommates include Lil Wayne, Drake and Nicki Minaj. The heiress/singer/”Bling Ring” actress has reportedly signed with Cash Money Records.Hilton broke the news to Showbiz 411, adding that she hopes to have her follow-up to 2006’s self-titled debut out by summer. She added it will feature a number of hip-hop acts, including Weezy, and production from EDM superstar Afrojack. “This is a lot different than my first album,” Paris told the site. “It’s really going to be house music.”Reps for Cash Money and Hilton have not returned MTV News’ request for comment.Hilton has been rolling with the Cash Money crew for a while now. Last year, she released a song with Wayne, “Last Night,” and he was even on hand at her birthday bash back in March. In May, she was also recruited to cameo in the Rich Gang’s video for “Tapout,” alongside Cash Money all-stars Wayne, Birdman, Mack Maine and Nicki Minaj.Birdman opened up to “RapFix” about the relationships the label has cultivated over the years. And while he never brought up this reported deal with the hotel heiress, it seemed clear he’s into working with all kinds of artists.”We have other artists like Future, who is not signed to us but a part of us. Birdman must’ve popped one too many mollies! It’s officially a wrap for the game we called “Hip-Hop”. This entry was posted in Entertainment News and tagged Cash Money, Drake, heiress, Hotel, Lil' Wayne, meek mills, Nicki Minaj, Paris Hilton, Whoa, WTF, YMCMB. Bookmark the permalink.